Those broom marks burn a bit. The IronPigs finished the three-game series with Columbus by getting swept by a 5-2 score in the final game of the three game series at Coca Cola Park. Columbus pitching kept the IronPigs’ bats mostly silent the entire series. As of this moment, RHP Dalier Hinojosa continues on his rehab with the IronPigs. He pitched in the first two games of the Columbus series. News came yesterday that RHP Mark Appel had a procedure to clean up his elbow in his pitching arm. This while he was trying to come back from a shoulder problem. Shoulders make me more nervous than elbows–perhaps this is a good way for his arm to rest and recover so that he can come back for Spring Training 100%. His will miss the rest of this season. RHP Alec Asher will miss the rest of the minor league season as well, with his 50-game PED suspension. 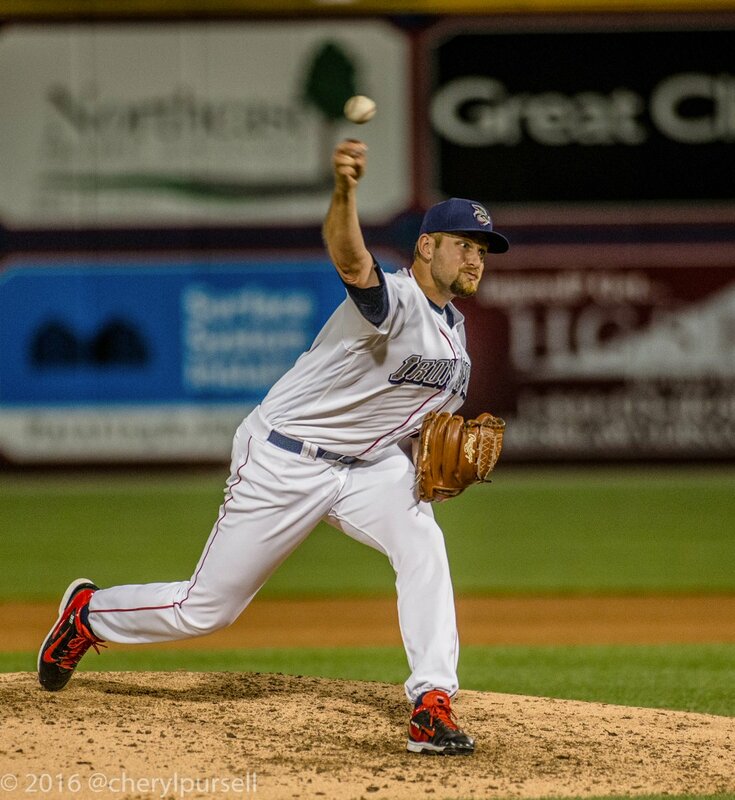 And speaking of PED suspensions: LHP Daniel Stumpf, a rule-5 pick of the Phillies this past off-season, is currently with Reading as he works his way back. He’ll be eligible to return to the Phillies on July 10. RHP Nick Pivetta left yesterday’s game in Reading with groin tightness. We’ll await word on severity, and if a DL stint will be necessary. The IronPigs will send OF Cam Perkins, RHP Edward Mujica, and C Andrew Knapp to the AAA All Star Game in Charlotte. Reading will send OF Dylan Cozens and RHP Ricardo Pinto to the MLB Futures Game. Good seats still remain for tonight’s game. Enter the Charlotte Knights, AAA affiliate of the Chicago White Sox. They lead the IL South, despite a losing record. They played extra innings last night in Charlotte, versus Durham, and traveled overnight. While our old friend Phillippe Aumont has since retired after facing the ‘Pigs down in Charlotte, you’ll still recognize a couple names on their roster: OF Slade Heathcott is a familiar name from his time with Scranton; RHP Anthony Ranaudo is a familiar name from his time with Portland and Pawtucket. Tonight’s pitcher, veteran Chris Volstad is familiar from his time with Indianapolis and Columbus. Prospect Watch: We should see #6 prospect RHP Tyler Danish as tomorrow’s starter; #13 LHP Brian Clark appears to be working in relief right now. And, 2B Jake Peter is the #18 prospect. Losing makes me sad. Injuries make me sad. Missing games makes me sad. Poor reporting makes me sad. A win tonight and everything will be better. You know, I had a vision the other night on the way home. No, it wasn’t the rain drops or tears in my eyes–and it wasn’t the 37 Bud Lights either. I just saw a vision of the IronPigs making the playoffs, winning round one versus a fellow North division team, and then getting swept by Columbus. I don’t like Columbus. PS: Another short hiatus for “IronPigs Today” unless I can find one guy to pick up the ball and run with it: No game day column on Saturday or Sunday.